Want to purchase tickets to our Perth Frocktober event? Click here now. 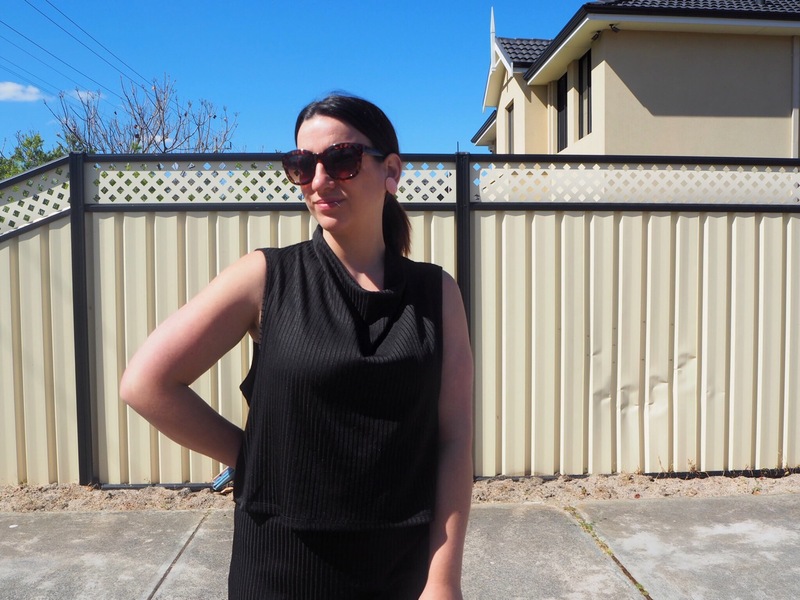 With such a mega Frockotober post published yesterday I thought I’d keep today’s post short and sweet, like this dress I picked up for a tiny $8 at Salvo’s Stores. Feel free to pop back to yesterday’s post to read all about our Fashionable Frocktober Afternoon Tea we are hosting this weekend at Jonté Design Studio, it’s set to be an amazing afternoon. If you’re in Perth and want to join us all the ticketing details can be found here. Now onto today’s dress. Although it’s a size too big, this frock reminded me of something the divine Audrey Hepburn would have worn back in the day. The length is modest enough for work, the neckline is quite high, yet lady like, and I like the double layering around the middle area to hide any lumps or bumps you may not feel like sharing. I paired this simple LBD with statement earrings and leopard print flats to enhance the look. 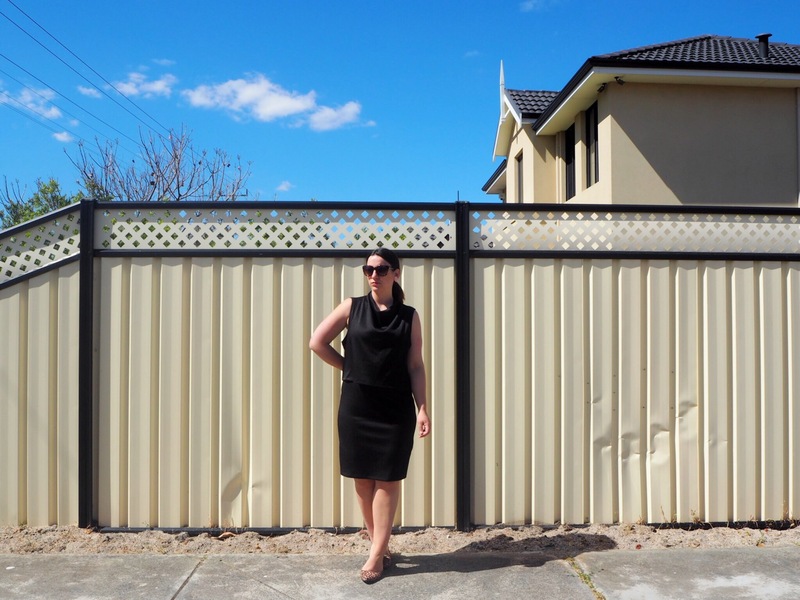 With only a week and a bit left in the Frocktober calendar there is still time to donate to the OCRF. Quick recap if you’re new to the blog. Frocktober is a philanthropic campaign accessible to all Australians passionate about women’s health. All funds raised are distributed as scientific grants to dedicated ovarian cancer researchers in Australian and New Zealand hospitals, universities and research institutes. Through these vital research efforts, the ultimate aim of the OCRF is to develop an early detection test for ovarian cancer that is both non-invasive and cost effective, so it becomes a habitual part of every women’s regular health check-up regimen along with mammograms and pap smears. The OCRF is not government funded, so they need all the support they can get! If you want to donate to the OCRF every cent counts. Plus it is tax deductible end of financial year! A huge thanks to those of you who have already donated, it means the world. I’m off to another day in the office. Fun fun! How is your Wednesday looking? Thanks T! So many gems at the op shops!